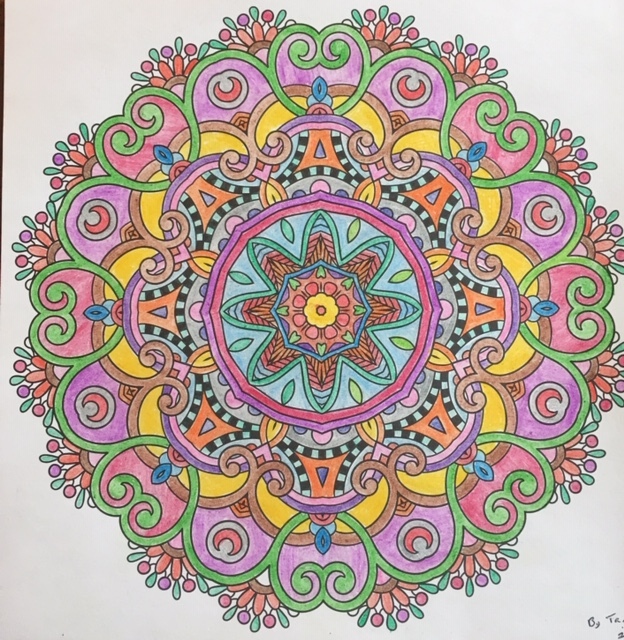 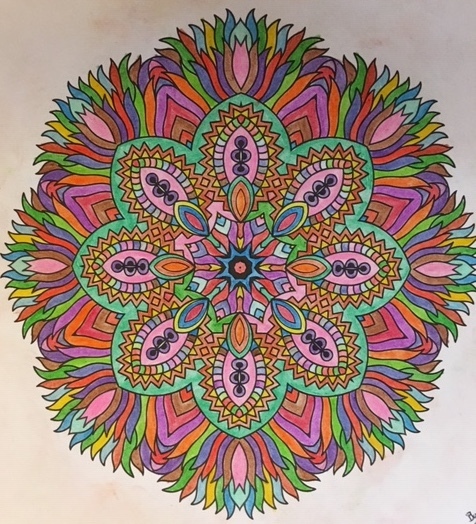 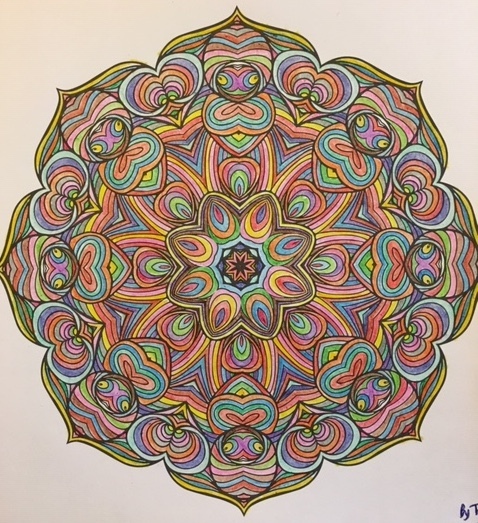 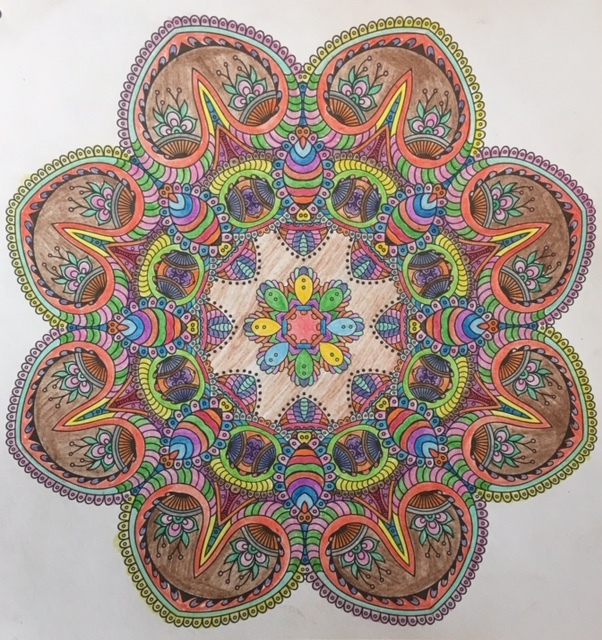 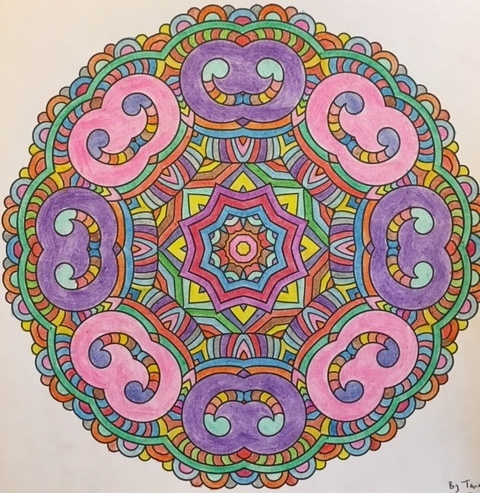 Below are my coloring exercises from Mandalas Coloring Book for Adults. 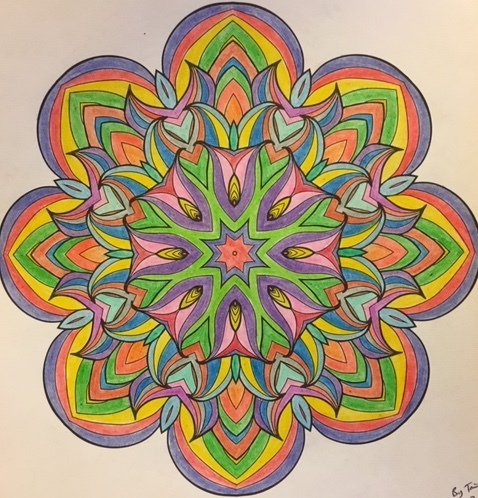 I found these exercises to augment my cognitive behavioral therapy by assisting with mood enhancement, concentration and wakefulness. 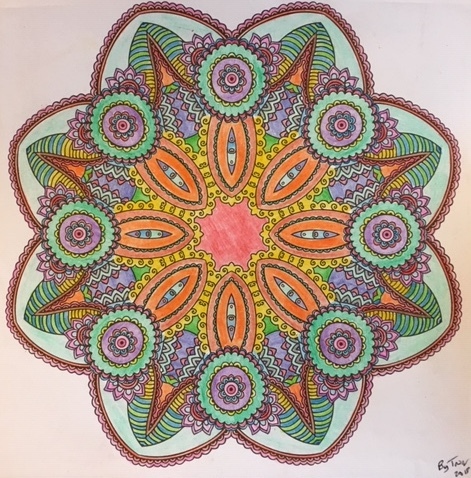 If I get permission to sell these completed samples and others, I would be happy to do coloring exercises for anyone who wishes to make a purchase and have a product to brighten up their office space, improve their surroundings or simply bring you a smile.